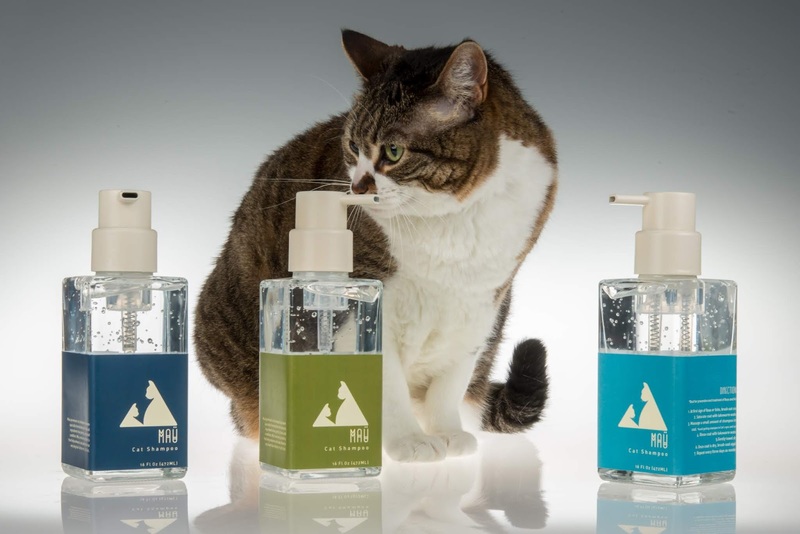 Those who have cats want to take the best possible care of their furry companions. 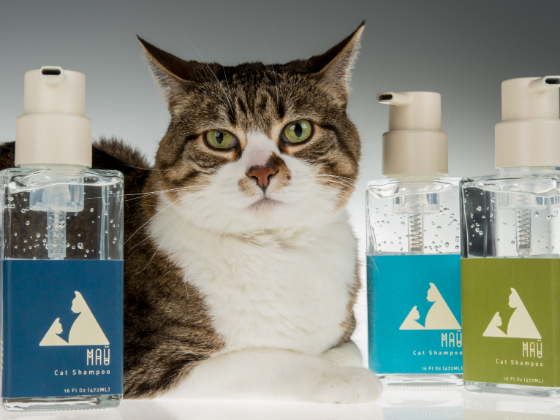 Cat Shampoo products are made to help strengthen the bond between the consumer and their pet as well as provide knowledge and support to care for pets and Maü is a (made-up) cat shampoo brand that set out to do just that. 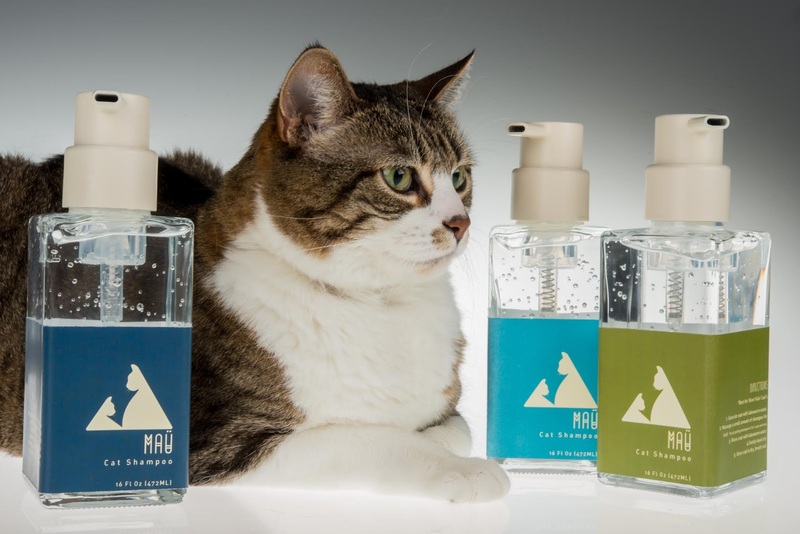 While there are many cat shampoo brands, Maü wanted to stand out against the rest by focusing on the health of consumers pets and affordability with an upscale feel because consumers that use cat shampoo want the best for their pet. 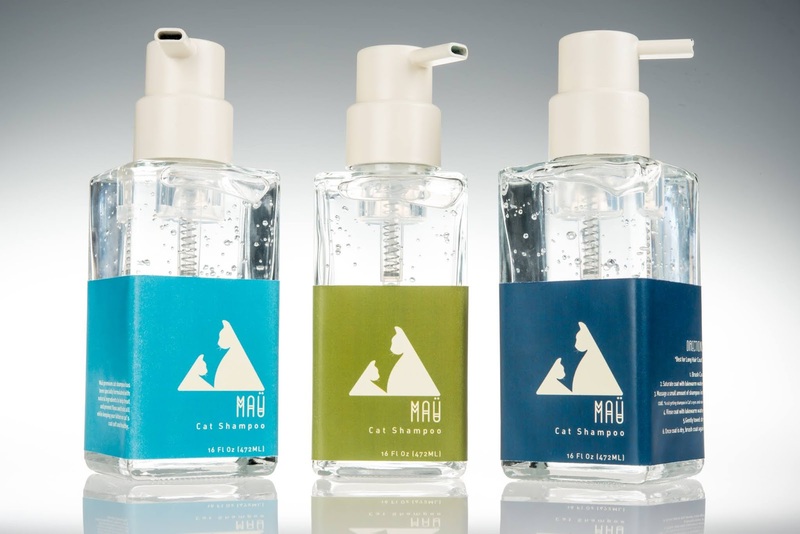 Maü also wanted to focus on simplicity when it comes to its packaging design; the four-sided label limited the information on it to only what was necessary including a brief description of the different kinds of shampoo, directions for use, and the eye-catching logo. Maü looks back at the Ancient Egyptians who are well known for their worshiping of cats. The name "Maü" is directly derived from the Egyptians; it is what Ancient Egyptians called cats. The logo itself is also directly related to the Ancient Egyptians. Two cats, representing the two goddesses, Bastet and Mafdet, that were often shown in feline form, are used to shape a pyramid.